As I sat with colleagues not too long ago discussing a shared former student, it was mentioned how she still sees me as an ally even though I no longer teach her. Hard to believe as this was the same child that slammed my door loud enough to shake the team area while telling me exactly what she thought of me and *! @&*% class. And yet, still, to her, I am someone who cares. To her, I am someone who still has her back, despite our ups and downs while I had her. We all have these children in our memories, perhaps you are teaching one right now (or many). The kids whose love language seems to be filled with protest, with ways to push us as far away as possible. Whose method of communicating their lives and their needs do not follow the same path as our own. How these kids, our kids, sometimes are the ones that carve out the biggest place in our days and in our hearts as we try to understand what it is they are trying to tell us. How they often make us feel like failures when our latest attempt at connection was dismissed and not enough. And yet….in every moment, in every day, we have this incredible chance to show that no matter what they throw at us, we can still be there, we can still care, we can still ask if they are okay rather than react in a more volatile way. We speak so often of our vision for what our schools should look like. What they should sound like (silent in some cases which is terrifying but that’s for another day). What they should feel like for every kid. We plot and we plan. We dream and we train, and yet, some of that seems to be forgotten the very moment a child fails to live up to our expectations (thank you, Shana White for that thought). The moment a child seemingly steps out of line. We throw our hands up in exasperation, lose our temper, and quickly a situation that did not need to spiral out of control has done just that. Just because we had to prove a point. I can only speak for myself, I try to not yell. It is something I work very hard at. Not because there are no situations where yelling might be used, but because I think the act of an adult yelling is only to be used in true emergencies. Yelling is only to be used when things are really dire. I don’t want to scare, nor intimidate my students, why would I? Instead, I try to treat these kids as the human beings they are; complicated beings who are carrying their own set of burdens every single day, just like I do. I try to treat them the same way I want to be treated; with concern, with an eye on my humanity. Not in an angry, authoritarian way, because in the long run, it does more damage than good. So as I think about our school system, about the horrible inequities that exist, especially for marginalized populations, I think of what I can do. How I can certainly share the information that inspires me such as this article from Teaching Tolerance, but also the small things that I can do within my own sphere; our classroom. How I can approach each situation with calmness, how I can approach each child with care rather than anger. How I can ask if they are okay rather than jump to conclusions, how I can ask how I can help, how I can respond in calm rather than anger. How I can use humor and trust to try to diffuse the situations that arise. That I can try to be a part of a classroom that functions on humanity rather than punishment. How when I mess up, because I will, I can apologize and try to do better. 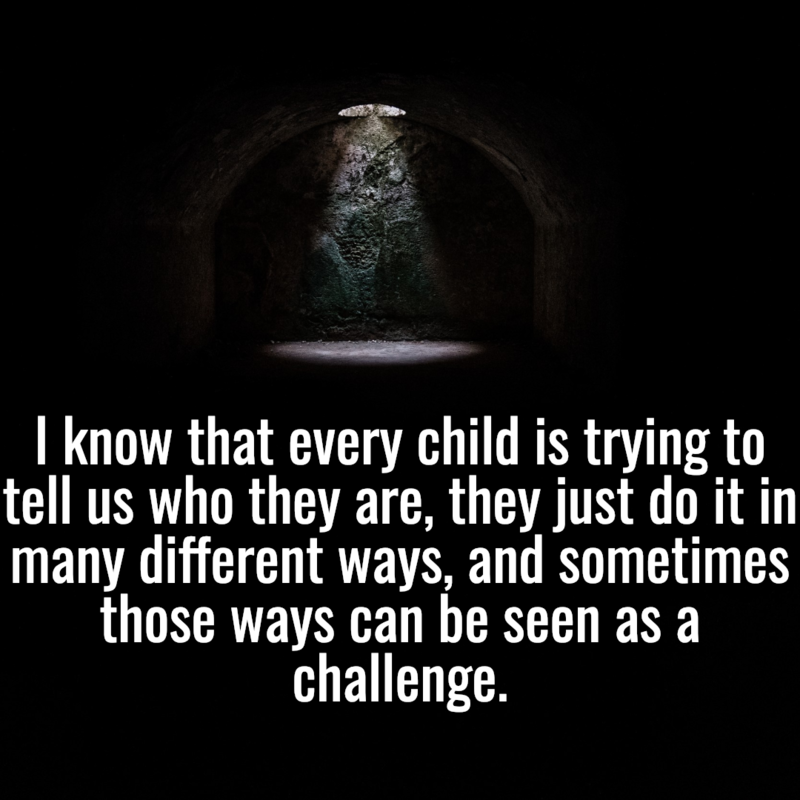 I know that every child is trying to tell us who they are, they just do it in many different ways, and sometimes those ways can be seen as a challenge. Yet, I know how deeply I care about my own story being told and heard, I can only imagine that our students do as well. Yes, our system needs to change, and we need to be a part of that, but that change starts right within our own spaces in how we treat the very children we get to teach every single day. How we protect their humanity even as they sometimes rage. We will never know their story if they don’t ever trust us enough to share it. I had the chance to sit with a few of my brilliant colleagues this week to plan our upcoming units together. Count this as another reason of why I love working for Oregon School District; the chance to get a sub so that we can collaborate and actually have time together to share ideas, push our learning, and try to craft meaningful experiences. One thing that struck me among many was the careful selection of the types of materials we were using to illustrate teaching points. As an example, in our upcoming TED talk unit, where we hope students will not only deepen their passion for something but also be able to share that passion with others, we searched for TED talks that not only illustrate the teaching point such as engaging openings or illustrating a certain type of through-line but also spoke to potential social issues that our students are aware of in different levels, meaning some live it and some are not even aware it is an issue. This purposeful selection of the materials we use to teach something is a big attempt for us to not just teach kids the “standards” but also expand their understanding of the world around them and hopefully find something to become invested in, to disrupt the privileged narrative that many of us live in. Yes, our students need opportunities to grow as students of reading, writing, speaking, and everything else that is involved in their education, but they also need so much more than that; to become (more) aware of the issues that face us all. And so when I think of disrupting the narrative, of increasing social awareness within the classroom, it certainly is in the large units we plan, how we treat kids, and also the educational framework we place them in. But it is also in the day-to-day, the videos we show of speakers, the read alouds we use, the mentor texts we share, the images, and the quotes we use. Whose stories are we constantly framing our learning in? Whose experiences are the dominant narrative? 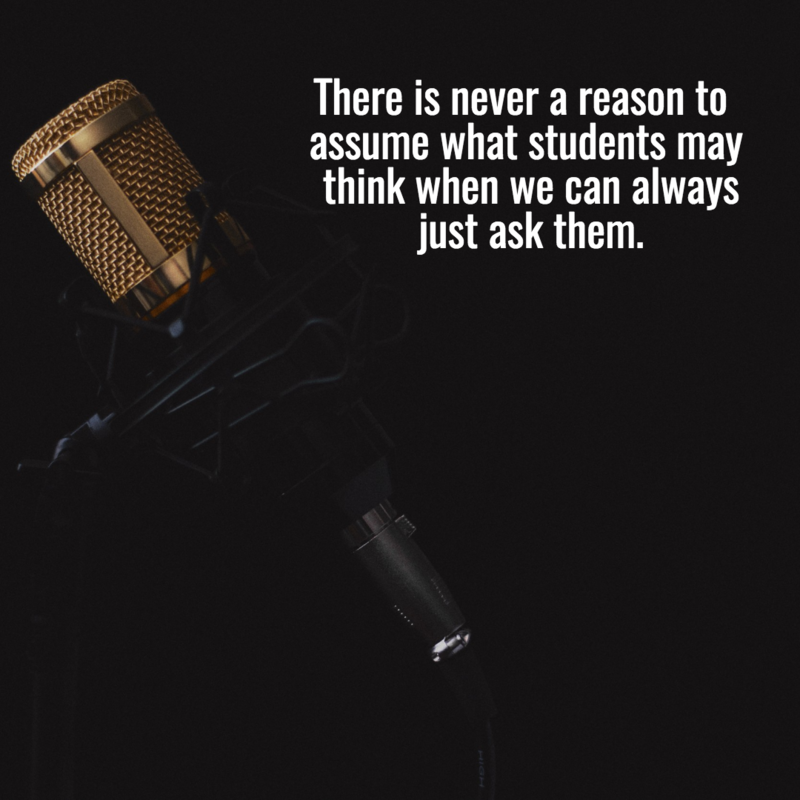 Are we embracing the small opportunities that naturally present themselves within our classroom to question, to push thinking, to urge students to inform themselves so that they can formulate (better educated) opinions? And more importantly, are we asking students to take on the hard work of noticing? Of questioning? Of changing the world that they function in? Are we giving them the opportunity to explore the perimeters they work within in order to question that very same framework? When we plan our lessons, we have so many opportunities to make the work bigger than the learning target we are trying to reach. We need to be aware though of our choices and then push ourselves to expand those choices. Whose stories are we upholding? Whose stories are forgotten? PS: I wrote about the text selections disruption process we use more purposefully here. The group looks at me, hoping I have answers to give, some ways to make it easier. And while we have been working together for the past ten minutes, while I have been coaching the best that I could, it is also time for the truth. They get back to work, we continue with our learning. This simple moment together doesn’t fix the work that lies ahead. The hard work of understanding, of growing, of learning. It doesn’t make it less hard, but what it can do is make it easier to carry. Make it easier to stick with it, to try again even when it seems unclear, uncertain, or even just plain challenging. 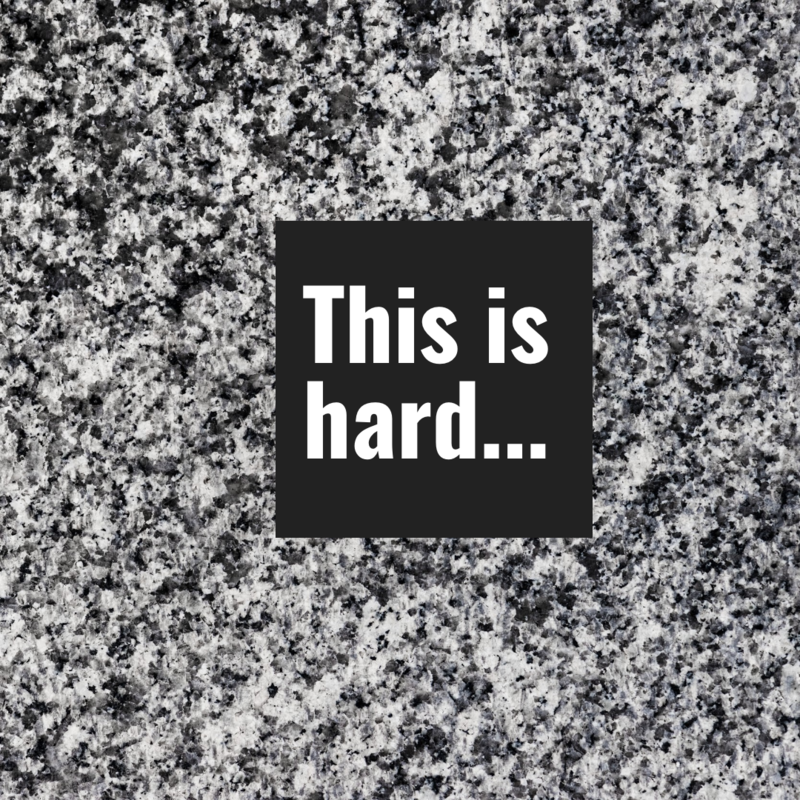 When we acknowledge that this work, whatever it may be, is, indeed, hard we are letting kids know that it is not that they simply don’t understand it. That it is not because they are somehow dumber than other kids, or less capable, but that instead, that all kids go through these phases of learning and that at times, the work is hard to do, to understand, to break down and carry on with. So many of our kids who feel less than. Less than a reader. Less than a writer. Less than a student are not always acknowledged for the incredible effort it takes to learn. For the incredible work that their brain is doing to make sense of something that seems incomprehensible at first. And so we must tell our kids that learning is hard work and mean it. We show our own struggles when it comes to doing the work by working in front of the kids rather than doing the work before they show up. We tell them when we are unsure, when we mess up, when we really have to break it down into small steps in order to feel like we are moving forward at all. We show them what learning looks like as an adult and then we remember to acknowledge the work behind their growth, no matter how small it seems at times, is something to be proud of. That in this moment, that in this class, they have grown as a learner, and that is something to be proud of. The work we are doing right now is hard. 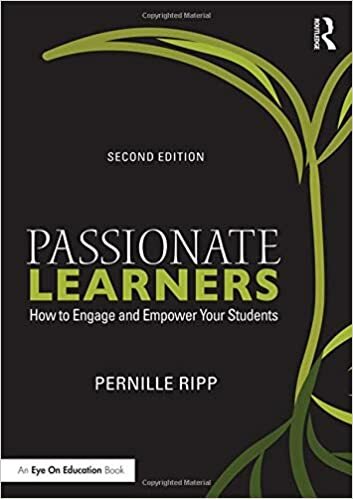 Analyzing text is hard, even for adults, and yet at that moment, when we recognize that this is not easy work, we offer students a chance to see themselves not as students who cannot get it right, right away, but instead as students who are learners. And learning takes time. Let’s not forget that.